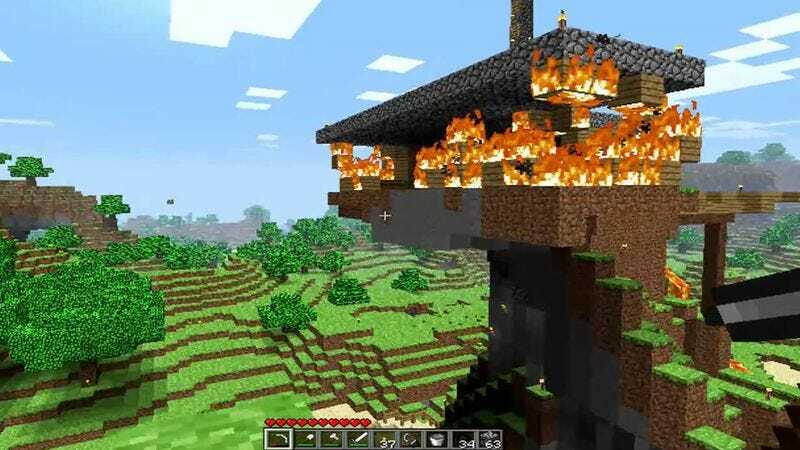 Like a bleary-eyed gamer suddenly realizing he’s wasted precious months of his life bashing away at virtual walls of stone, Night At The Museum director Shawn Levy has stepped away from Warner Brothers’ proposed Minecraft movie, taking screenwriters Kieran and Michele Mulroney with him. Levy, whose new film, Night At The Museum: Secret Of The Tomb, is set to release on December 19, had been working on the proposed project since October. After several weeks of attempting to develop a cohesive storyline for an open-world game that features little in the way of plot and an abundance of mushroom farming, dirt punching, and spider fleeing, Levy and the Mulroneys presented their proposal to the studio last month. According to Variety, the studio rejected the pitch, and Levy is now choosing between a Melissa McCarthy-starring Tinkerbell movie, the Arabian Nights adaptation 40 Thieves, and the Will Smith vehicle The City That Sailed as his next project—none of which involve being forced to dramatize a bunch of pixelated 8-year-olds obsessively punching trees. Warner Bros. is reportedly still extremely interested in finding a director to develop a film based on the immensely popular game, which was acquired by Microsoft for $2.5 billion back in September. Besides the potential to catch block-shaped lightning in a bottle again after the massive success of the equally plot-free Lego franchise, owning the film permissions to Minecraft has earned the studio a great deal of bragging rights when it hangs out on elementary school playgrounds. Rumors that Warners’ dad helped it find, like, a thousand diamonds, and now it has three diamond pickaxes and a pet creeper, remain difficult to confirm at press time.